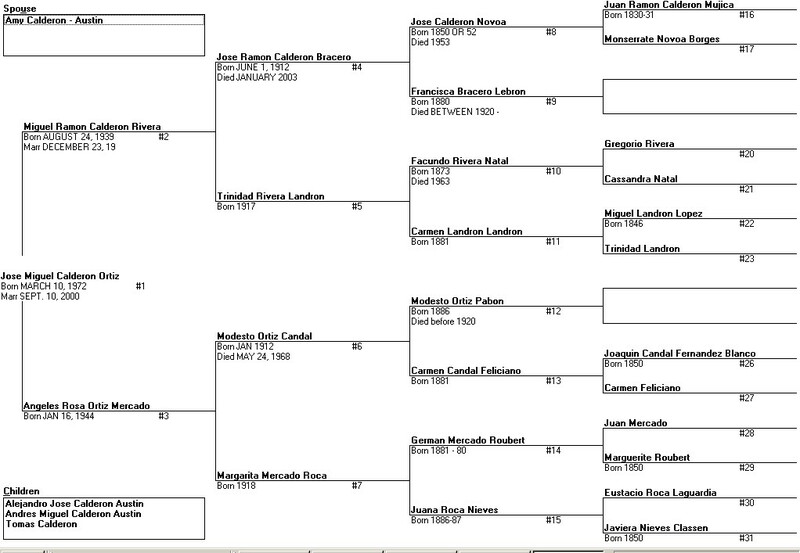 My branch of the Calderon line came to Puerto Rico from Spain in the early 19th century. Below are the individuals as far back as I have been able to trace them. Individual details are on the following page.